The way he still dedicates himself to Almiria’s happiness is disturbing, for at the moment it looks like he might not even need her anymore now that he has Bael. Is he keeping her for good PR? I don’t think it’d work given how her youth may also translate to a lack of experience in maintaining a strong face in the eyes of the general public? Or maybe it’s just Macky not in the mood to have nothing go bad for him when he is gaining momentum as it is? Either way, you have to feel for Almiria after like 40 episodes or so since her debut, since her innocent faith in Macky which endured for that time is no longer there. You can tell it is so not there anymore when his words no longer comfort her. I am well-aware throughout my analsis of this series how I held some form of hope that maybe… just maybe; Macky actually gave a damn about Almiria and her problems. Boy am I a fool, since Macky didn’t so much give a damn but just acknowledged them and worked it to his advantage. I truly feel for Almiria, and I hope SOMETHING good comes her way at series end. Not so much for Macky though, so as of this moment I’m just going to refer to them as “McGillis” until the end. Gaelio will still be called Galli-Galli though. Other than that, pretty good build-up episode. After the fairly intense awakening of Bael in the last one, it is unsurprising the following episode is just build up. McGillis being McGillis is pretty much what it is, but the more interesting part is seeing Rustal and Tekkadan prep. Rustal’s conversation with Iok provides a very good look into the way the man operates, and his concept of history. He acknowledges Agnika Kaieru’s founding of Gjallarhorn, but believes it is not just him who built it but everybody else. In essence, Rustal just notes how the organization is bigger than one man, and as such plans accordingly with the mentality. Doesn’t negate all the bad things Gjallarhorn does, but again… Insight is nice. The time spent with Tekkadan is filled with myriad emotions of determination and uncertainty. The first part is something they cannot help but have given the endgame (kinda like the first season), but it is the second part that will get to you. While McGillis seizes Gjallarhorn successfully, he could not compel the older members to cede their armies to him (they choose to remain neutral), and pisses Orga off so bad that he is met with a punch from him. I would punch McGillis too if I found out I had to go against the WDoJ/Arianrhod without much help. The Tekkadan accountant and Miss Merribit get a good scene where they share their beliefs on how they must keep an eye on the kids, and it is capped off with one nice phone conversation between Atra and Kudelia. Atra being in the middle of all these determined boys and young men fills her with uncertainty and just calls Kudelia out of the blue. I think it is at this moment where Kudelia cedes Mika to Atra, and she is right to do so. At the end of the day, Atra’s been the one helping Mika all this time, and more importantly, Kudelia is trying to build a world where kids like Mika no longer exist. It would perhaps seem very… counterproductive to pursue that kind of relationship with him then? We’ll find out. 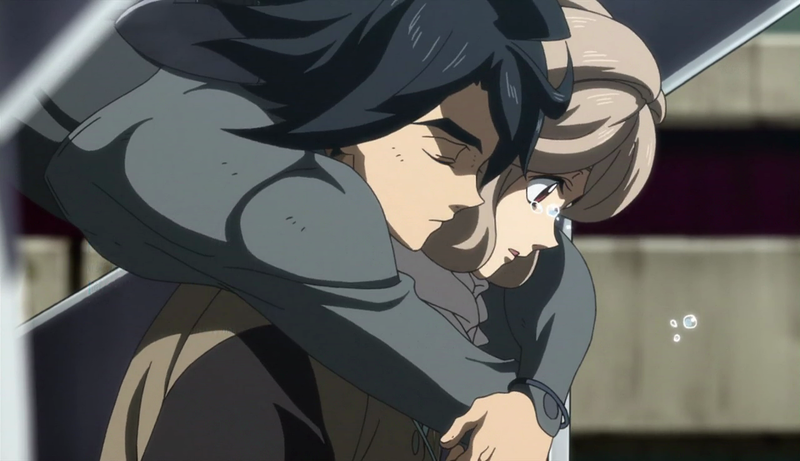 Then as the episode ends Atra finally confesses her love to Mika, and it results in the latter comforting her by means of an embrace. It is another heartfelt scene, and made even more poignant since it is because he was just following her advice from last season when Kudelia was dealing with the loss of Fumitan (Atra even alludes to it). Hugs are nice, and it’s nice to see Mika be this way to somebody after so long. Whether this translates into Mika Junior and the like also remains to be seen, but we’ll find out once the battle next week plays out. Will it be a six episode long slugfest? If it’s not, what else is there? To say this is all quite exciting is an understatement. 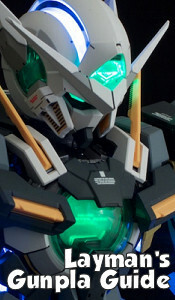 So I guess the Vidar Gundam was where the Kimaris was hiding all along, given how Galli-Galli requested the Gjallarhorn Research/Engineer lady to start removing parts from it. Other than that, not much else. Let’s see what happens next week, shall we?